The Ritz-Carlton Philadelphia is a 394 feet (120-meter) 30-storey skyscraper located south of City Hall in the Center City of Philadelphia, Pennsylvania. It was built in 1930-1931 as the Girard Trust Building. The tower was actually an addition to a domed low-rise building which was constructed in 1908. It was then renamed Two Mellon Plaza. 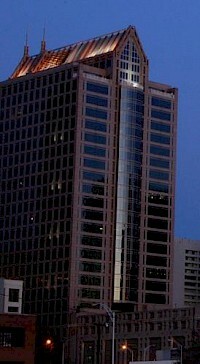 One Meridian Plaza (1972-1999) was connected to this building.